Food marathons are officially a thing in Italy. Here’s what I ate during my last week of holiday in Sardinia. A typical seaside town dish, pasta with clams, oil and garlic is filling yet delicate, the best way to start your meal. 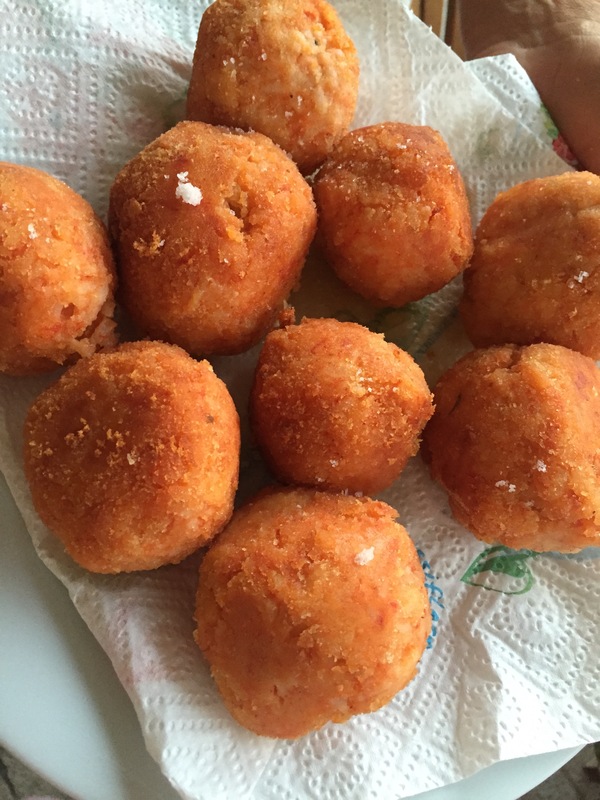 The Roman alternative to Sicily’s arancini, supplì are fried risotto balls with tomato sauce and mozzarella. A poor man’s dish born to avoid throwing away left-over rice, supplì are always on top of my food list when I get back. Every seaside town has a fried fish dish – I prefer to have them all. Fried octopus, mussels and calamari all in one go, with lemon juice as garnish, make a great second course. I never have enough of fried food here in Italy, especially if we’re talking beer-battered courgette flowers filled with runny scamorza cheese. Quick and easy to make in the oven, tiny pizzas, or “pizzette”, are the perfect snack to have with every meal.